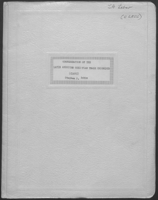 Archives & Collections of Latin American Writers & Intellectuals at the Manuscripts Division of the Princeton University Library. Towards a New History of Latin American & Caribbean Intellectuals. Celebrating 40 Years of Latin American Studies at Princeton University. Cómo obtener paz con Dios. Concert. Vaya de fiesta. Nell Snaidas (Soprano) and Eduardo Egüez (Lutenist). Confederation of the Latin American Christian Trade Unionists (CLASC). Infinidad de naciones. Guía de aventuras. Informe de PAI de 2001. Mundos diferentes. Salud y riesgos sexuales y reproductivos. John Simon Guggenheim Memorial Foundation. Announcement of Fellowship Competition Latin America and the Caribbean 1997. List of Fellowship Recipients 1996. Latin American Economies in the Long Run. A Conference Organized by the Program in Latin American Studies. 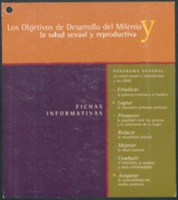 Los objetivos de desarrollo del milenio y la salud sexual y reproductiva. Fichas informativas.